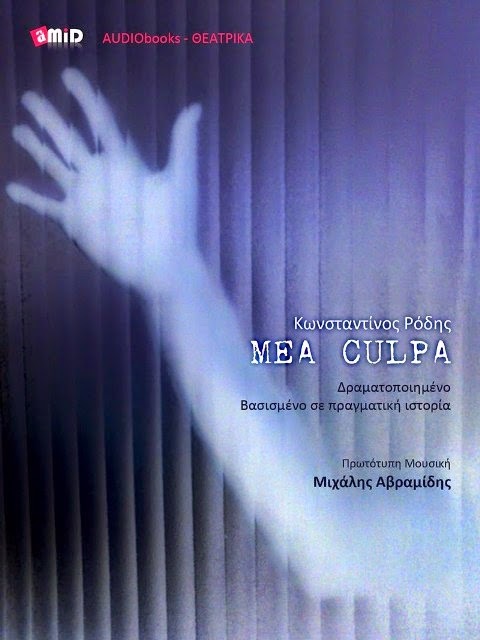 Audio Book MEA CULPA: LUCIA FRANTZIKOS WRITES ABOYT "MEA CULPA"
LUCIA FRANTZIKOS WRITES ABOYT "MEA CULPA"
"Unfortunately, the issue focusing on " Mea Culpa", isolated and socially exclused people with "special behavior " is something society often deal with. Therefore, through this specific project, you don't realize only how life is but also the difficulties these persons have to deal with. And also how hard and painful is this situation for families or people who take care of them - something usually ignored. These are the reasons i do feel very happy participating in this project. Aunt Mary, Zoes’ sister, is a woman with updated ideas and concepts , because of her residency in London over twenty years. She is dealing with problems and situations in a complete logical way , and without impulsive burst. She does understand the needs and rights of people like her nephew Stavros. She balances between sides and could be compared to a scale counting right and wrong, according to her position and perception. Sometimes, of course, is contentious, selfish and lured from the need to modernize all around her. At "MEA CULPA" time , all these views were considered not realistic or difficult to bring it to an end. I hope such works are often running and provide equally important issues concerning the entire society. Αναρτήθηκε από Mea Culpa στις 9:27 π.μ. Η ΛΟΥΚΙΑ ΦΡΑΝΤΖΙΚΟΥ ΓΙΑ ΤΟ "MEA CULPA"
IOANNIS KYFONIDIS WRITES ABOUT "MEA CULPA"
Ο ΙΩΑΝΝΗΣ ΚΥΦΩΝΙΔΗΣ ΓΙΑ ΤΟ "MEA CULPA"
ELENA ANGELOPOULOS WRITES ABOUT "MEA CULPA"
Η ΕΛΕΝΑ ΑΓΓΕΛΟΠΟΥΛΟΥ ΓΙΑ ΤΟ "MEA CULPA"
CONSTANTINOS RODIS WRITES ABOUT "MEA CULPA"
Ο ΚΩΝΣΤΑΝΤΙΝΟΣ ΡΟΔΗΣ ΓΙΑ ΤΟ ΕΡΓΟ ΤΟΥ "MEA CULPA"